I recently picked up the Superman Unchained: Deluxe Edition hardcover, featuring Scott Snyder and Jim Lee's epic 9 issue tale. 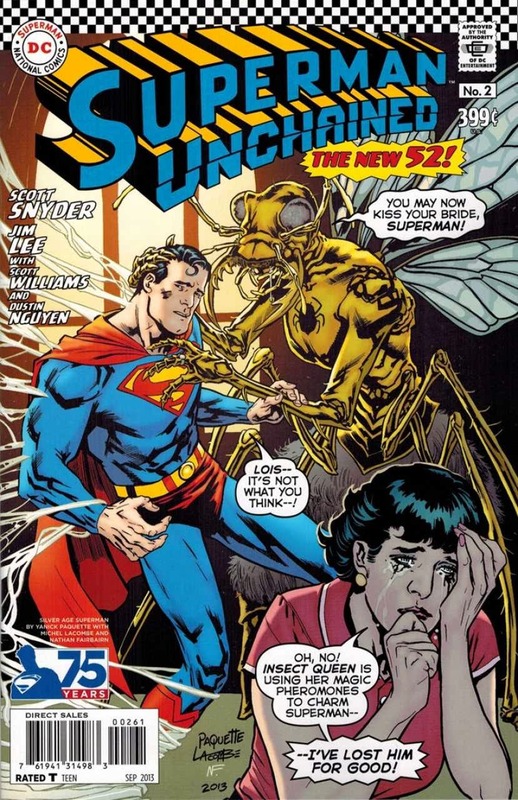 I found the main storyline to be pretty good, the best I read yet in the New 52 incarnation of Superman. It cannot compare to the best Bronze Age / post-Bronze age stories, of course, but it raised some interesting thoughts about Superman and how the U.S. military would view his role on Earth. The 180+ page story isn't the reason to buy this volume, no, the real motivation are the backup extras! 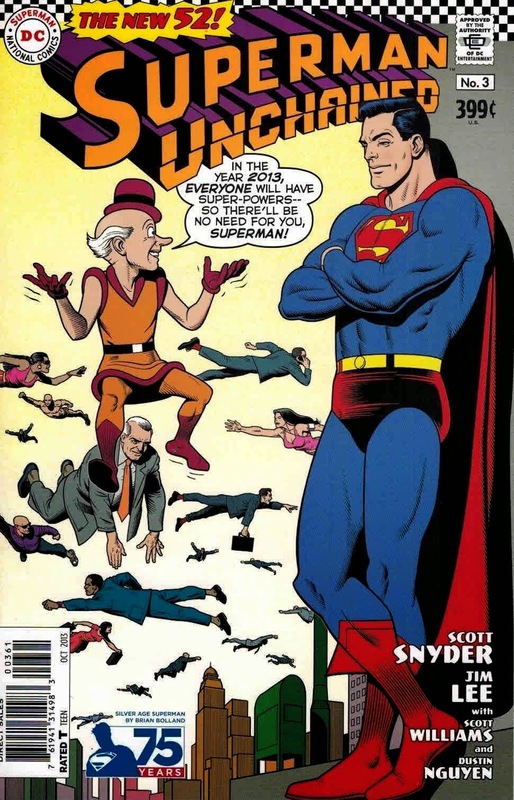 Each issue of this series had at least 8 variant covers celebrating all eras of Superman: Golden Age, Silver Age, Modern Age, New 52, etc. I had a great time looking at all of these and taking a trip down memory lane. Here are a few of my favorites. 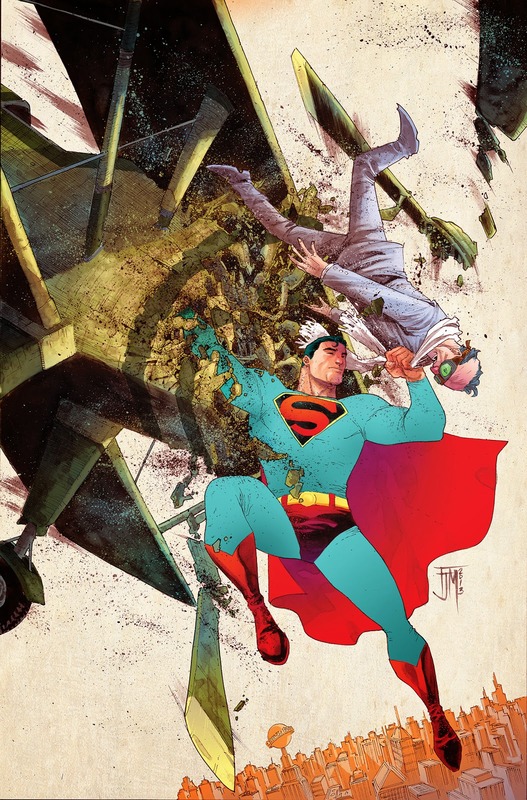 Francis Manapul: this is a glorious composition, with the bi-plane above Metropolis and Superman's wonderful pose as he takes it down. 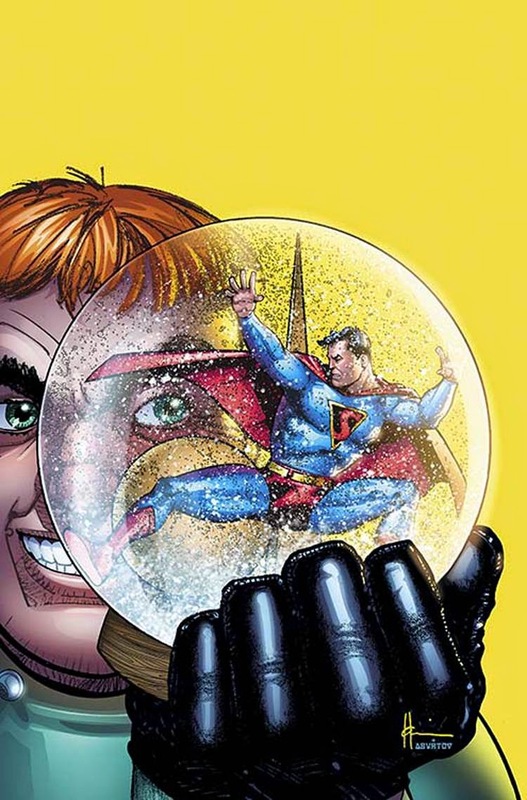 Howard Chaykin: featuring the original version of Luthor with red hair! Brian Bolland: glad they corralled Bolland into doing a cover for the Silver Age, his sense of humor fits right in there. Yanick Paquette: bringing out the best in the Lois Lane drama. 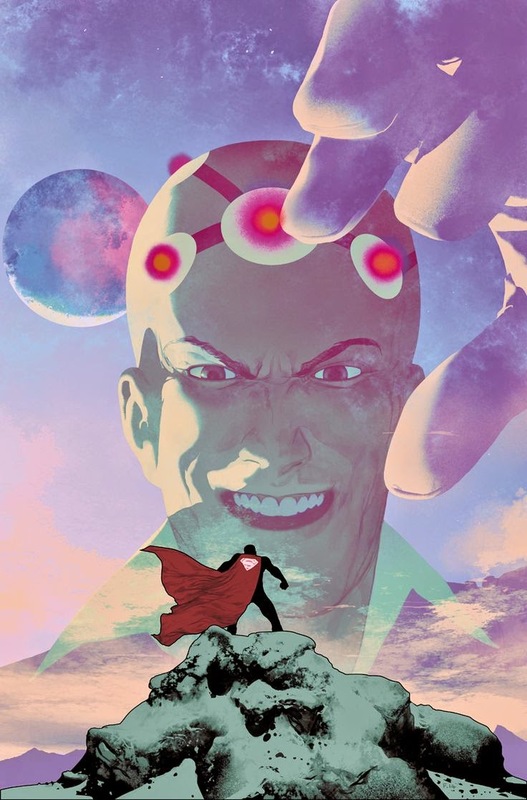 Frazier Irving: The classic version of Braniac looms large in this illustration. 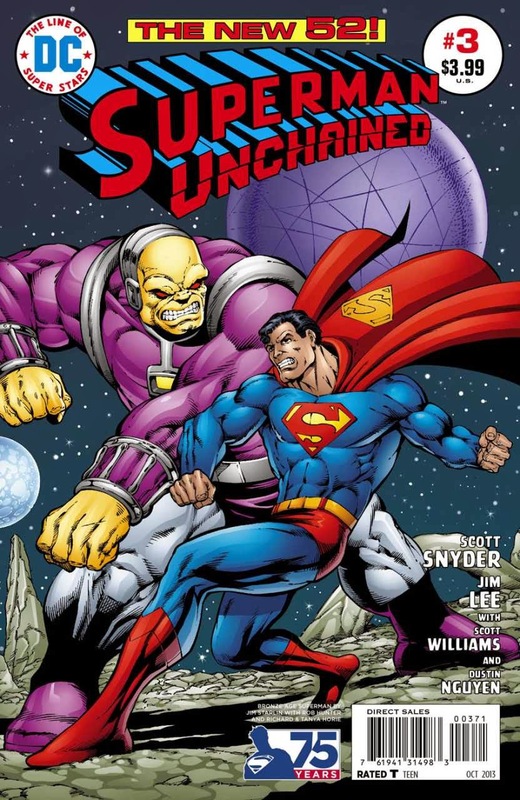 Jim Starlin: who can forget that Starlin gave Superman another worthy foe to battle. 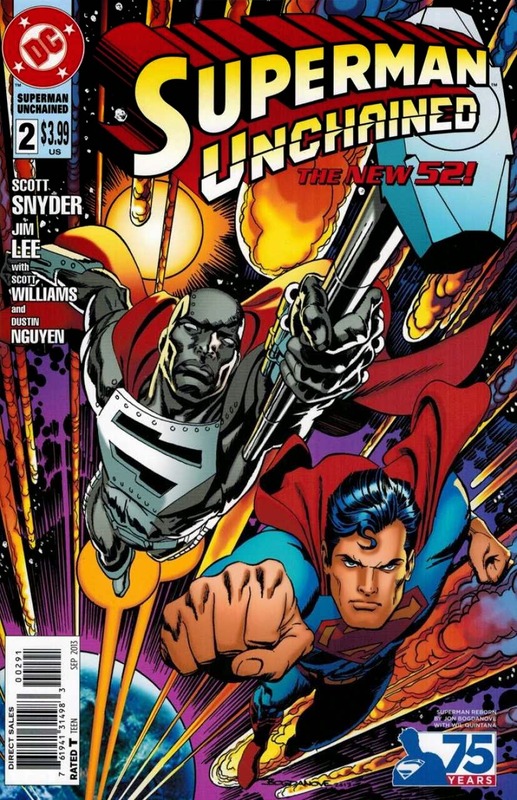 Jon Bogdanove: featuring his creation, Steel! Looking very much like a Simonson illustration here, ironic considering that he worked with Louise Simonson. 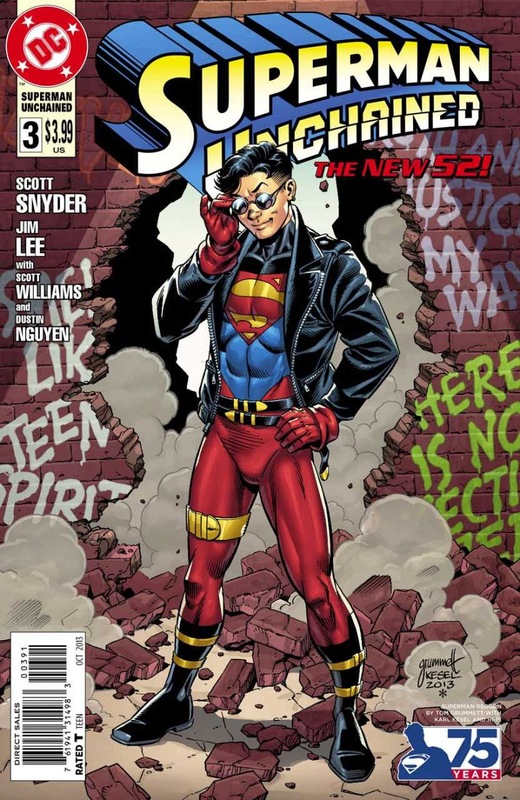 Tom Grummett: featuring the new version of Superboy with the leather jacket and sunglasses! I can't help but miss this version and even the one that Geoff Johns did with the t-shirt and jeans (which apparently now Superman will wear). 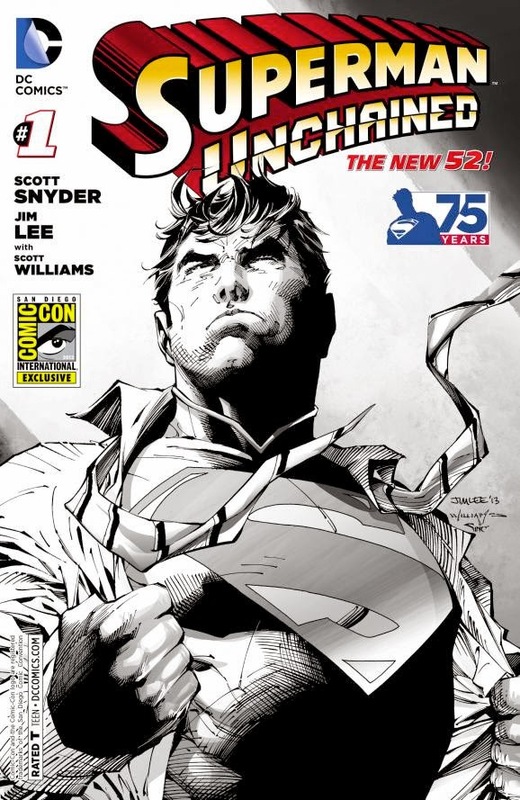 Jim Lee: a classic Superman pose as he sheds his Clark Kent clothes to reveal the Superman costume underneath. I think it looks brilliant in black and white, lucky guys who went to ComicCon that year could buy it. How does he hide that raised collar under his shirt? :-) Nuff Said!